Promoting conservation in our watershed! 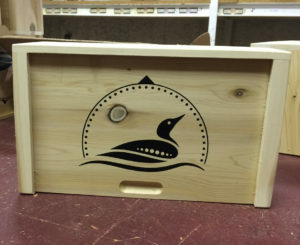 Design provided by the Torch Conservation Center. "def. A watershed is land that sheds water from rainfall and snowmelt which drains into a lake or stream. This run-off water from lawns, streams and wetlands makes its way into beautiful Torch Lake." Torch Lake is a reflection of its watershed. What we do to this land directly affects humans, wildlife, our drinking water and the health of our lake. The Torch Conservation Center promotes stewardship around Torch Lake. Rocky Top Farms is one of a growing number of environmentally-certified farms. We appreciate their stewardship! 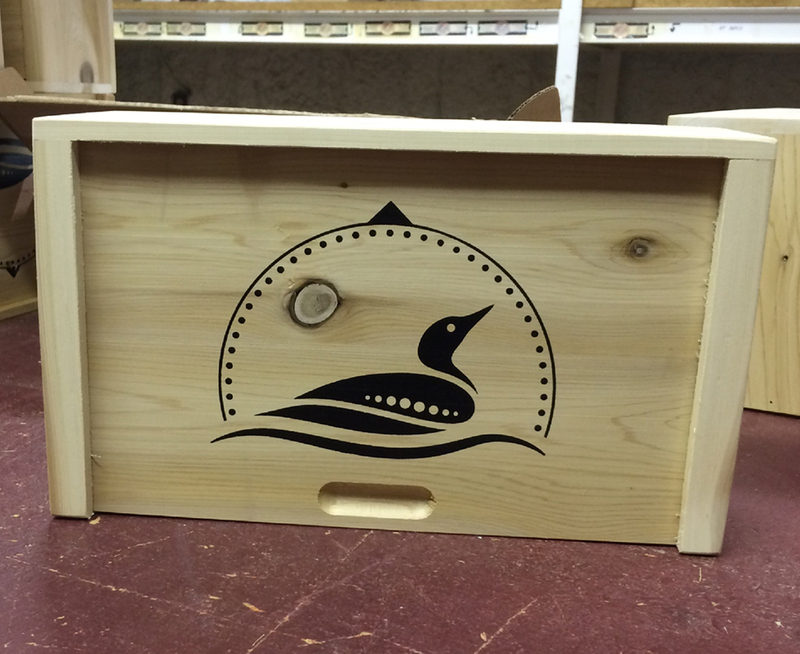 New Product: Torch Conservation Center Loon Imprint for boxes. Loons are threatened waterbirds that feed on fish in Torch Lake.